Egg bagels: This food has a low quantiti of total lipid, total sugars and calcium but has a high quantity of carbohydrate, selenium and thiamin. 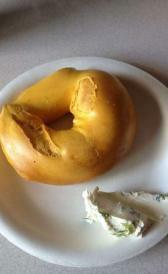 Cinnamon-raisin bagels: Cinnamon-raisin bagels is high carbohydrate, selenium and thiamin. On the other hand. is low in total lipid, calcium and vitamin c.
Oat bran bagels: This food has a low quantiti of total lipid, total sugars and calcium but has a high quantity of carbohydrate, selenium and folate, total. Canned boston brown bread: In this food there are some nutrients that are found in low quantity, for example total lipid, vitamin c and thiamin. 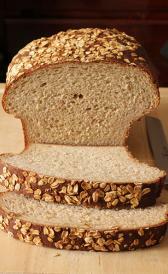 Cracked-wheat bread: In food has a low quantity of total sugars, vitamin c and choline, total. Egg bread: This food has a low quantiti of total sugars, vitamin c and vitamin b12 but has a high quantity of selenium, thiamin and folate, total. Toasted egg bread: High in carbohydrate, selenium and thiamin and low in total sugars, vitamin c and vitamin b12. Italian bread: Italian bread is high carbohydrate, selenium and thiamin. On the other hand. is low in total sugars, vitamin c and vitamin b6. Oat bran bread: Oat bran bread is high selenium, thiamin and folate. On the other hand. is low in vitamin c, vitamin b12 and vitamin a.
Toasted oat bran bread: This food is low in vitamin c, pantothenic acid and vitamin b6 but Toasted oat bran bread has selenium, thiamin and folate in high quantity. Oatmeal bread: This food has a low quantiti of vitamin c, vitamin b12 and vitamin a but has a high quantity of thiamin. Toasted oatmeal bread: High in carbohydrate and selenium and low in vitamin c, vitamin b12 and vitamin a.
Enriched white pita bread: Enriched white pita bread is high carbohydrate, selenium and thiamin. On the other hand. is low in total lipid, total sugars and vitamin c.
Whole-wheat pita bread: This food is low in total sugars, calcium and vitamin c but Whole-wheat pita bread has carbohydrate, manganese and selenium in high quantity. Pumpernickel bread: High in folate, total and folate and low in total sugars, vitamin c and vitamin b12. Enriched raisin bread: This food has a low quantiti of vitamin c, vitamin b12 and vitamin a but has a high quantity of carbohydrate, folate, total and folate. 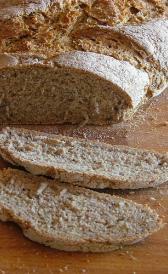 Rye reduced-calorie bread: Rye reduced-calorie bread is high total dietary fiber and selenium. On the other hand. is low in vitamin c, vitamin b12 and vitamin a. Rice bran bread: This food has a low quantiti of vitamin c, vitamin b12 and vitamin a but has a high quantity of manganese, selenium and thiamin. Rye bread: High in selenium, thiamin and folate, total and low in vitamin c, vitamin b12 and vitamin a.
Toasted rye bread: Toasted rye bread is high carbohydrate, sodium and selenium. On the other hand. is low in vitamin c, vitamin b12 and vitamin a. Wheat bread: High in selenium, thiamin and niacin and low in vitamin c, vitamin b12 and vitamin a.
Toasted wheat bread: Toasted wheat bread is high carbohydrate, selenium and thiamin. On the other hand. is low in vitamin c, vitamin b12 and vitamin a. Wheat bran bread: This food is low in vitamin c, vitamin b12 and vitamin a but Wheat bran bread has manganese, selenium and thiamin in high quantity. Wheat germ bread: High in selenium, folate, total and folate and low in vitamin c, vitamin b12 and vitamin a. Plain bread sticks: High in food energy, carbohydrate and selenium and low in water, total sugars and calcium. Angelfood cake: This food has a low quantiti of water, total lipid and total dietary fiber but has a high quantity of carbohydrate, total sugars and phosphorus. Cheese coffeecake: In food has a low quantity of total dietary fiber, total sugars and copper. Fruit coffeecake: This food is low in total sugars, copper and vitamin c but Fruit coffeecake has carbohydrate in high quantity. Gingerbread cake: This food is low in water, selenium and vitamin c but Gingerbread cake has food energy, carbohydrate and total sugars in high quantity. Chocolate wafers cookies: Chocolate wafers cookies is high food energy, carbohydrate and total sugars. On the other hand. is low in water, vitamin c and vitamin b6.